Audience numbers have been critical to the growth of every sport - it’s one of the main drivers that have attracted sponsors to the sport allowing it to invest and grow. Grow the audience > more sponsors > increased $ to invest > improve the event > more interest > more sponsorship. 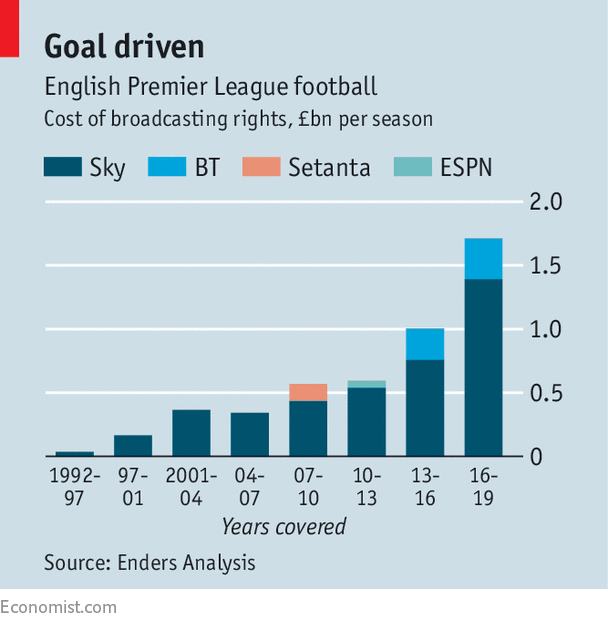 Take the English Premier League from when Sky TV came in to provide the TV coverage for the games. From their increased coverage teams were able to generate higher sponsorship revenues from their partners, which allowed increased investment into the quality of the surfaces and players on their team. All of this created a more compelling league in turn generating a greater worldwide audience. It doesn’t happen overnight but by investing in means to grow the audience it will in turn justify more sponsorship dollars growing the sport. Back in the tiny ultra trail running world this can also been seen with Ironman’s investment into the ‘top tier’ trail running events - Australia Ultra Tour, Leadville Trail Series and at the start of the year the Tarrawarra purchase. These events have risen above the rest by providing a best-in-class event, invested in flying out international runners (generating a worldwide audience) which in turn has increased the value of their event and respective sponsorship dollars. How does this all relate to live tracking? A live TV broadcast of a trail event is not feasible for the significant majority of events - even those owned by Ironman haven’t tried - only the biggest worldwide event has successfully implemented live TV; The Ultra Tour Du Mont Blanc who produce a continuous five day worldwide broadcast. It costs millions. Ultra are often run in remote and wild spaces, admittedly the appeal for most runners, as such coverage is limited to when runners pass through checkpoints and at both the start and finish lines. But what if we knew where every runner was in real time, it was broadcast to a worldwide audience to follow and allowed for event partners to reap the benefits from the audience. Sounds like a live TV event with potential worldwide reach, right? By providing every participant with a tracker regular updates of their position allows the audience to follow along in real time. When a runner makes a break climbing a hill or descending faster, we’ll be able to watch it happen even if they’re in the middle of nowhere. Perhaps a runner is inching ever closer with every update we will literally be able follow the cat & mouse chase between the runners. With each move those watching are glued to screens watching small dots inch across a map ever closer to the finish line. #dotwatching is addictive! And because these ultra trail races last anywhere from 8 - 72 hours (longer than any current live TV sporting event) the time spent on the platform page is significant. This now provides value to sponsors to get their brand out direct to their target audience - nothing beats live content and with your brand attached to it. With minimal promotion we’ve recorded a 10% click through rate on sponsor banners - significantly better than any online advertising, which is accepted at rates between 1-3%. It’s also mobile first with an average of 75% of users watching on their phones - any screen, any where. Live tracking can provide further analytics and benefits to race audience (who is watching and where from) which might give insight into where promotions for next year’s registrations should go as well as giving value back to sponsors. Bringing it all together we see Live Tracking as an affordable means to race organisers to grow awareness of their event, provide a best-in-class experience further increasing the value of their event which in turn allows them to generate higher sponsorship dollars.